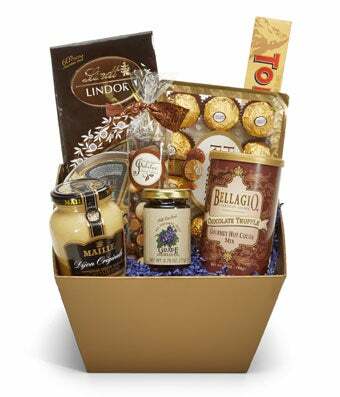 This basket is sweet, savory, and delicious with a decadent mix of sweets, jam, cheese, and chocolates. A perfect mix with an air of refinement, this gift is sure to make a big impression. Please note that the variety of treats and the container may vary.